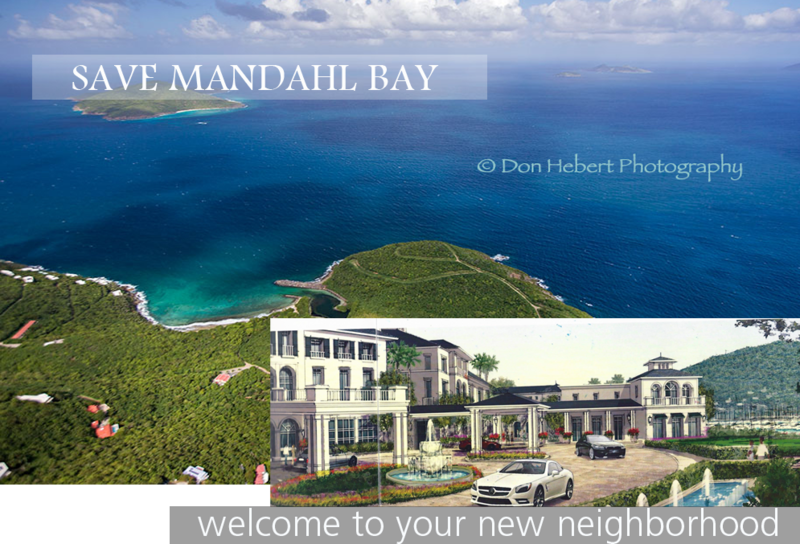 The following developers renderings were presented at the Governor’s Press Conference on November 6, 2014 at Government House. 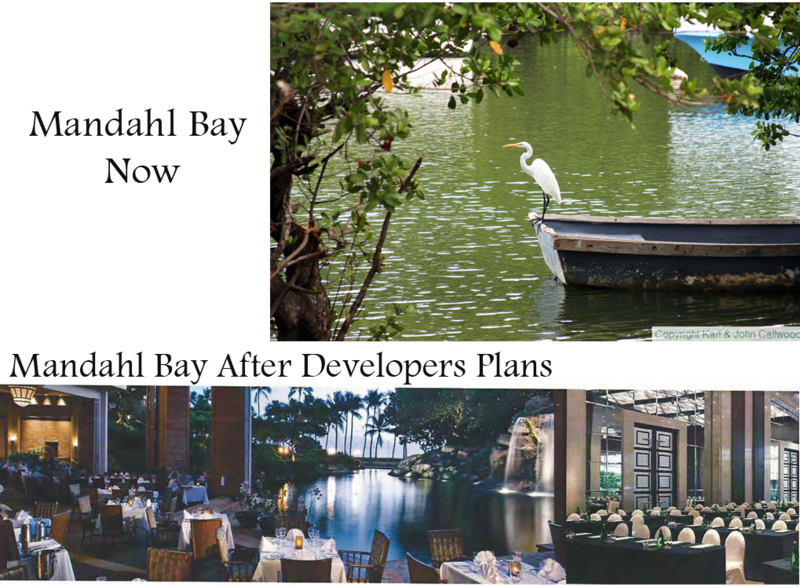 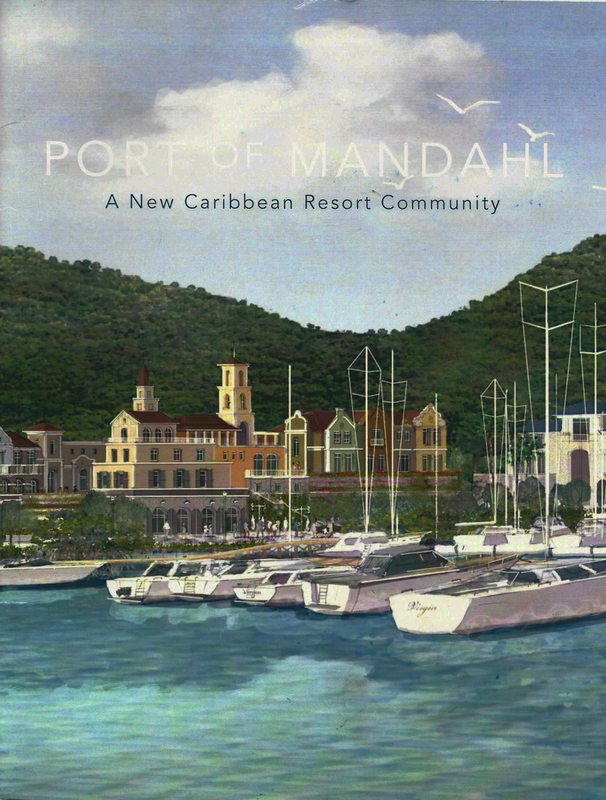 At that time, the Agreement and the Lease for Mandahl Bay was signed by the Governor and Mandahl Bay Holdings. 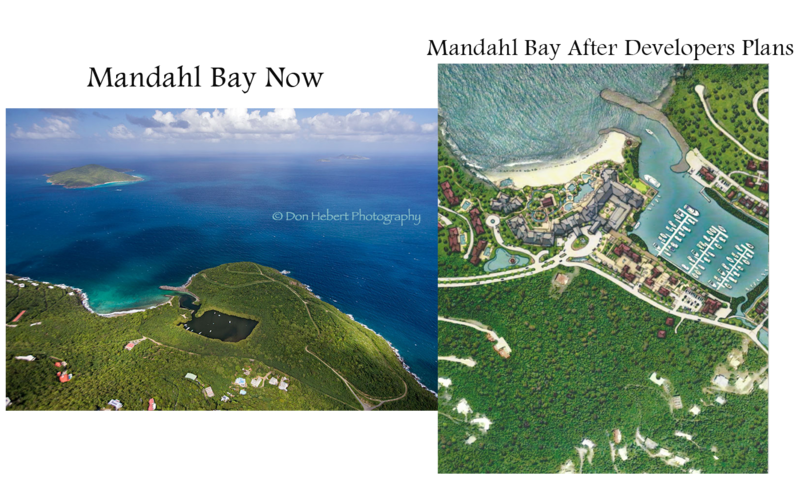 The ‘Mandahl Bay Now’ photos were taken by Friends of Mandahl. 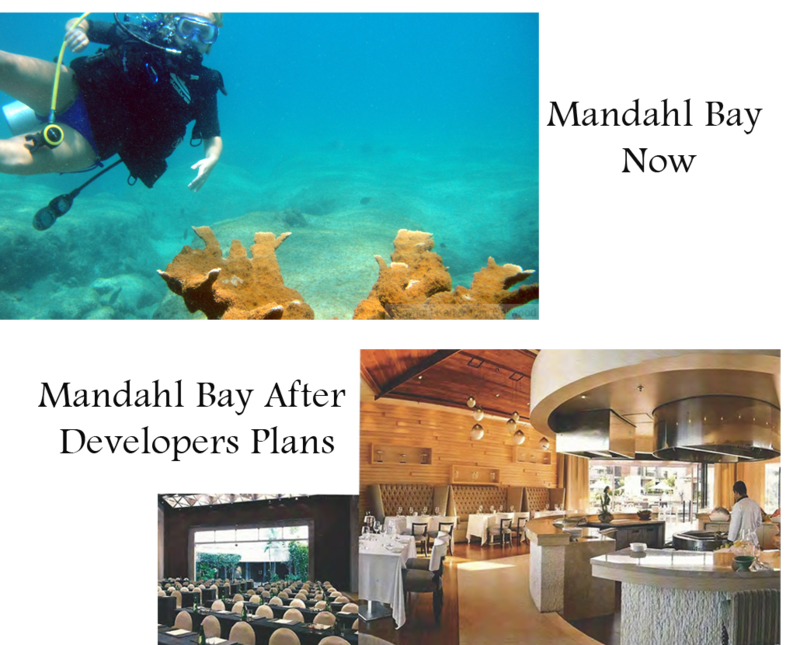 Please don’t let them pave paradise, help us SAVE MANDAHL BAY!